We often recommend night guards to protect patients who clench or grind their teeth during the night. These custom-designed appliances are made of durable acrylic and molded to fit the shape of your teeth. 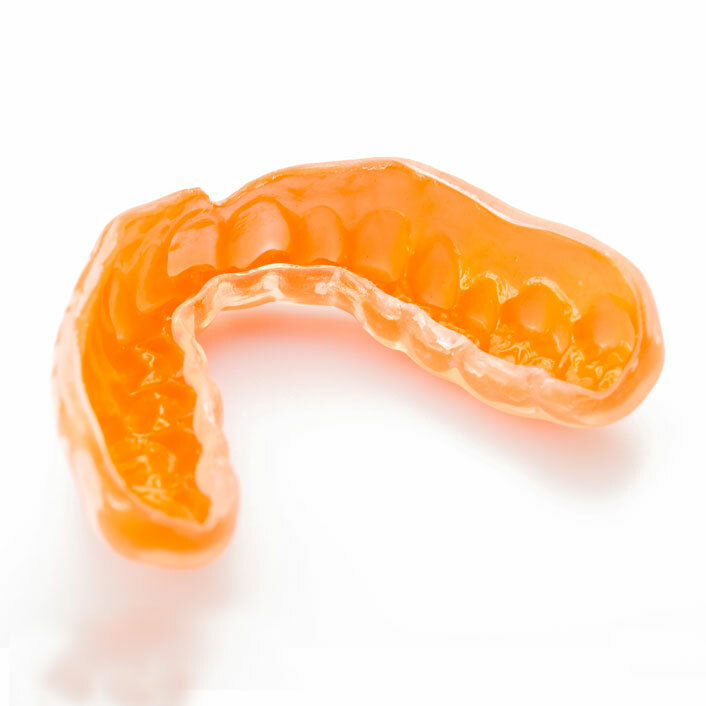 When made properly a night guard will give the patient an ideal bite, when in place which decreases muscle activity and reduces or eliminates clenching or grinding.